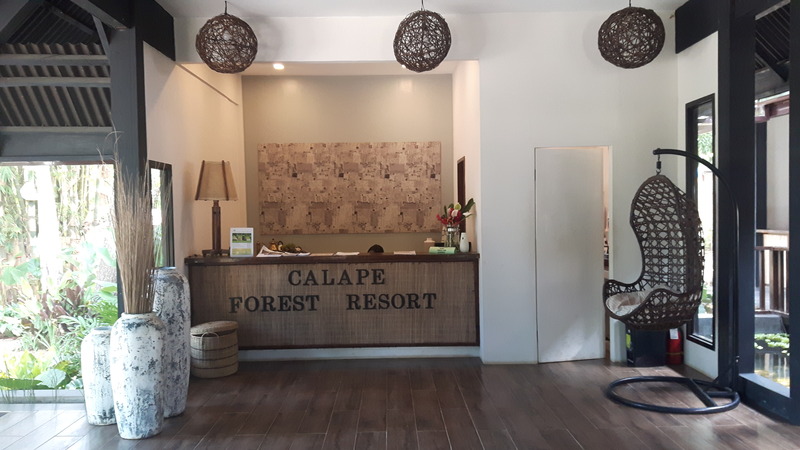 Calape Forest Resort – newly opened and ready to serve you. A true nature experience. The perfect spot for a relaxing time at our huge pool, spending quality time on the lawn, enjoying the sun or seek shadow under the roof of our spacious cabanas. Our 1st class restaurant offers an extended Filipino and International Menu – prepared by our headhunted, highly skilled Chefs and served by our always smiling and helpful staff. Cold and hot beverages plus exciting cocktails & drinks at the bar complete the experience. You will have a great time at Calape Forest Resort. Enjoy our Friday and Saturday Nights acoustic and live band which is full of music and great entertainment. Calape Forest Resort is the ideal place to celebrate birthdays, weddings and family reunions. We arrange and cater parties & events for up to 100 people. Contact us for info.